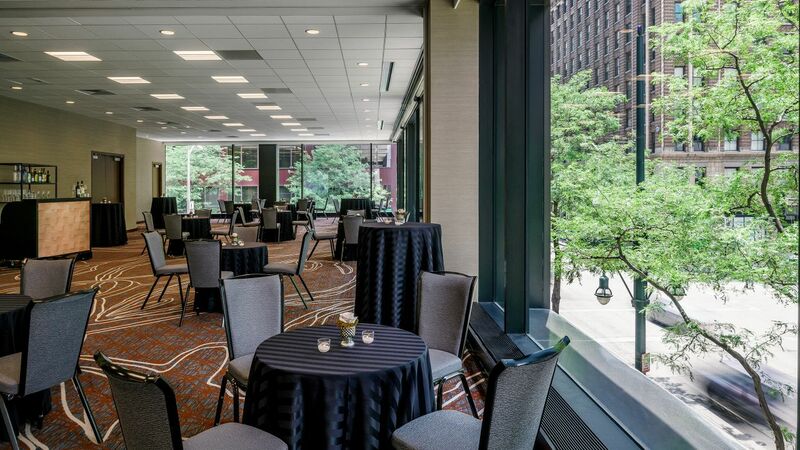 With more than 52,600 square feet of space, dynamic venues, and an unparalleled location, Grand Hyatt Denver is the ideal destination for stylish meetings and gala weddings in downtown Denver. Dedicated specialists, innovative catering, and advanced audiovisual support ensure a flawless occasion. 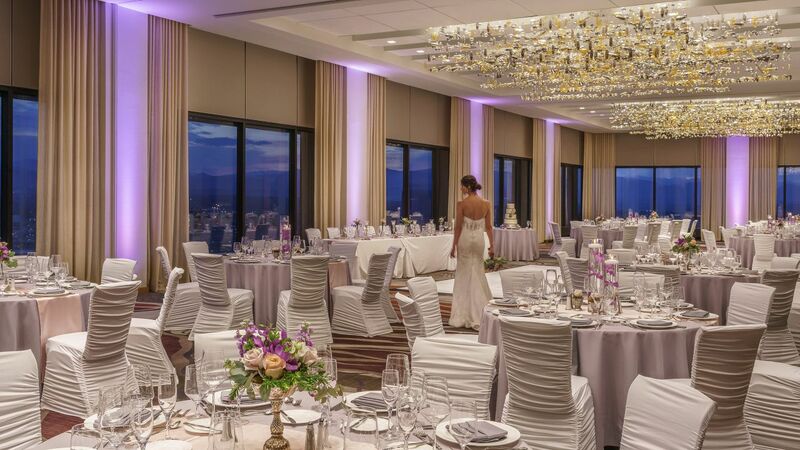 Choose from distinctive venues including spacious ballrooms for lavish wedding receptions and the iconic 38th-floor Pinnacle Club for panoramic views of the Rocky Mountains Front Range. 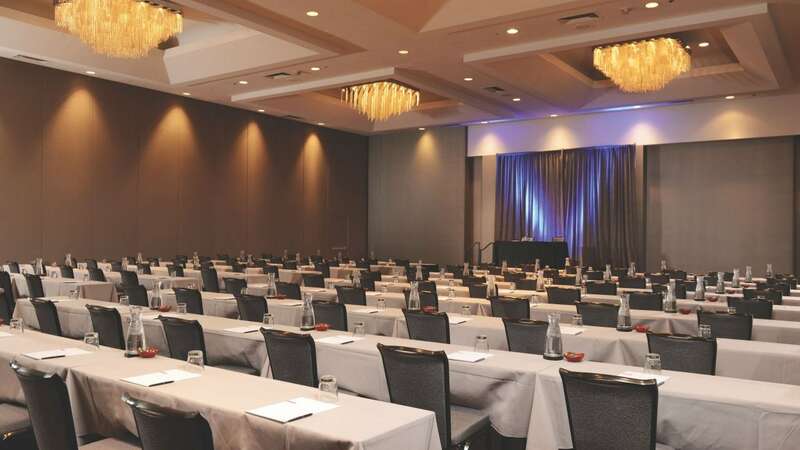 Boardrooms, midsized meeting spaces, and an adjacent conference center are among our available spaces. Grand Hyatt Denver features 52,600 sq. ft. of sophisticated space designed to make your special day unforgettable. 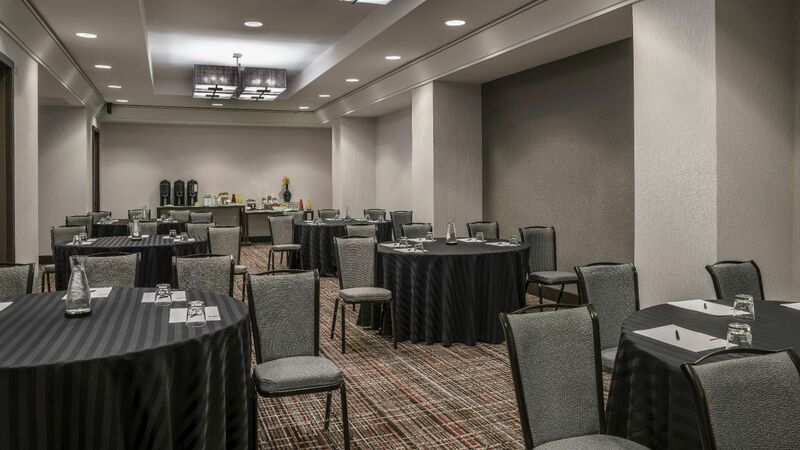 Choose one of our elegant ballrooms for a beautiful ceremony, and then host your Denver wedding reception in the most distinguished venue in the city, The Pinnacle Club. From its lofty perch on the 38th floor, this iconic site features more than 1200 hand-blown crystal light figures, floor to ceiling windows, and panoramic views of the entire Colorado Rocky Mountain Front Range. Your dedicated wedding specialist at Grand Hyatt Denver will help you with every detail of your event, so you can relax and enjoy your day. 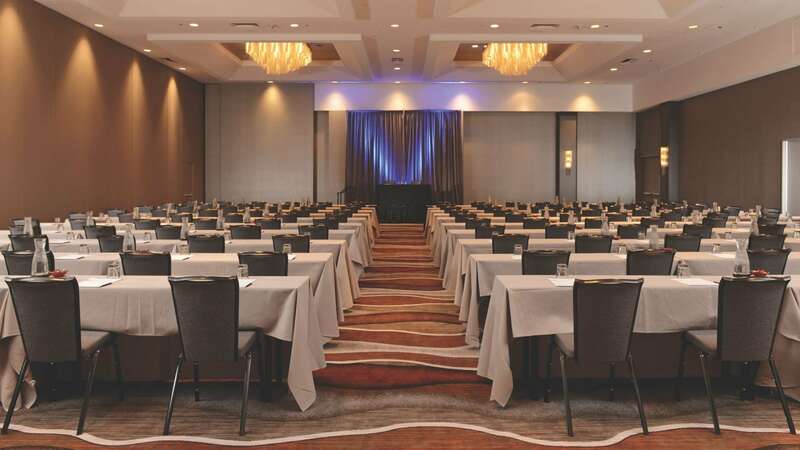 At Grand Hyatt Denver, we believe in the power of the meeting. 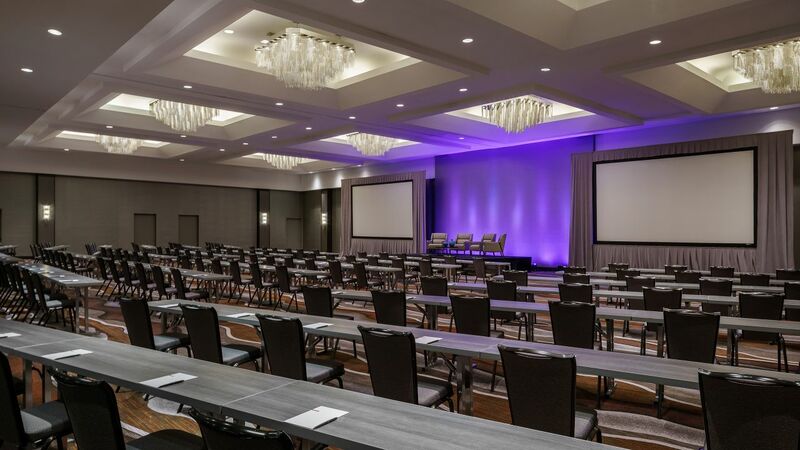 Whether you’re planning a convention in our Conference Center, an event in the 38th floor Pinnacle Club, or training sessions in our meeting rooms in Denver, we will come together to create, inspire, and solve virtually anything. 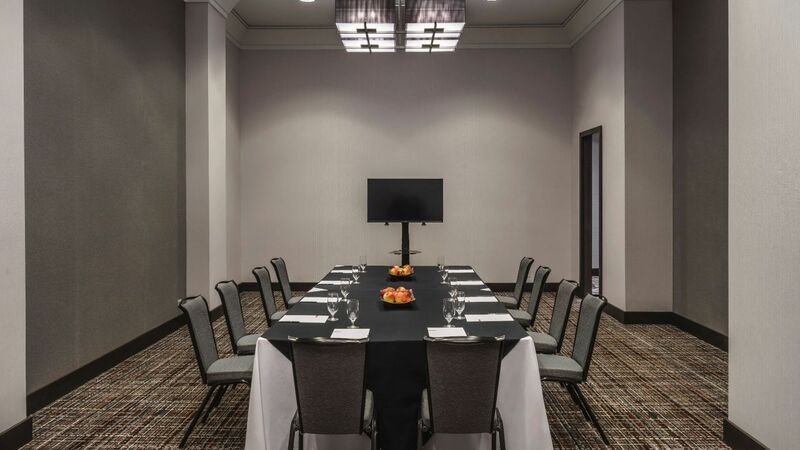 We believe that when the details of your meeting are graciously handled and the distractions are artfully managed, you’re better able to succeed. And with incredible dining, an indoor pool, a unique rooftop jogging track and tennis court and a myriad of nearby activities, you’ll have everything you need to mix business with pleasure. Complement your meeting with the delicious and innovative creations of our talented culinary team. 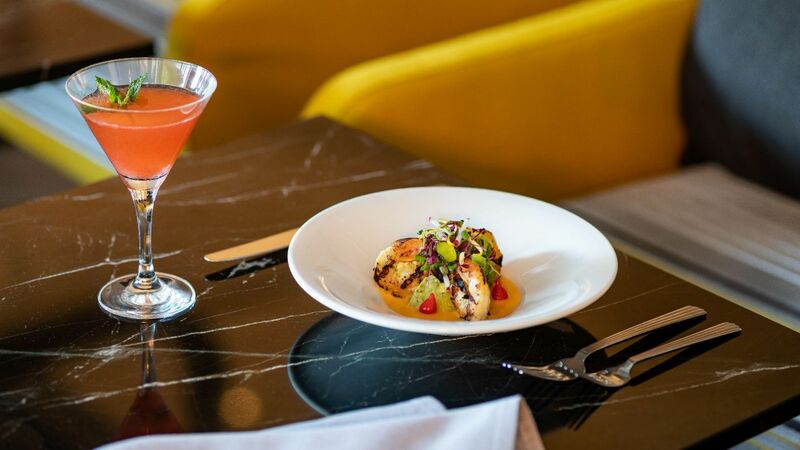 From pre-conference continental breakfasts and working lunches to sit-down banquets, our catering staff can create menus that satisfy appetites and energize participants. Any event - whether held onsite, or in any other location around the city – will be wonderfully enhanced by tempting presentations and impeccable service.